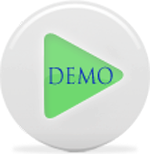 You have seen the demo, haven't you? It's time for the tutorial on how to make Tabbed-Navigation. Check it out! Basically, you need to create 2 files. One file for the HTML, and the another one for the CSS file for the styling. You can put the styling inside HTML file, too. It's up to you. It's time to create the HTML file. Create new HTML file and save it as "index.html" or any other names that you like. Since, we you have create the CSS file, you can simply copy and paste the directory where you save the CSS inside the HTML. It is recommended to save the CSS and HTML file in the same folder. All set??? Save your files and view what you've created on your web browser. Good Luck.